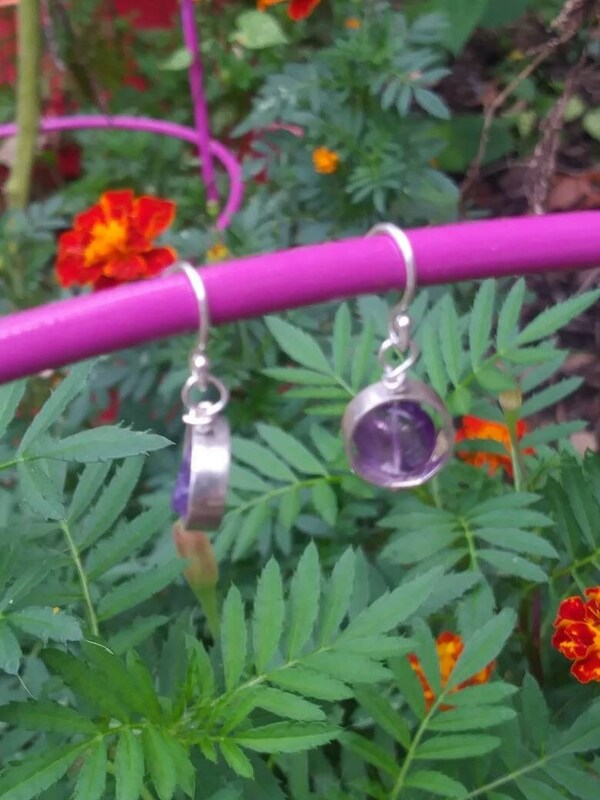 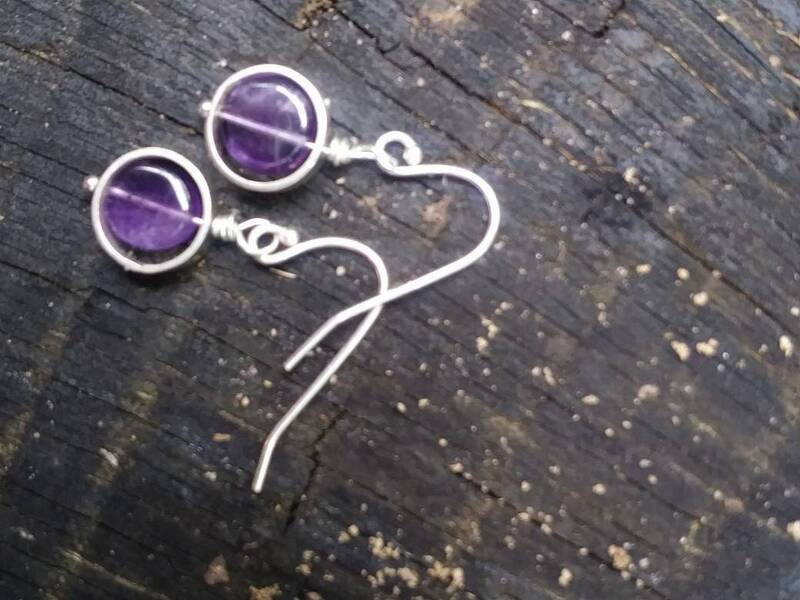 Tiny tiny simple purple amethyst earrings. 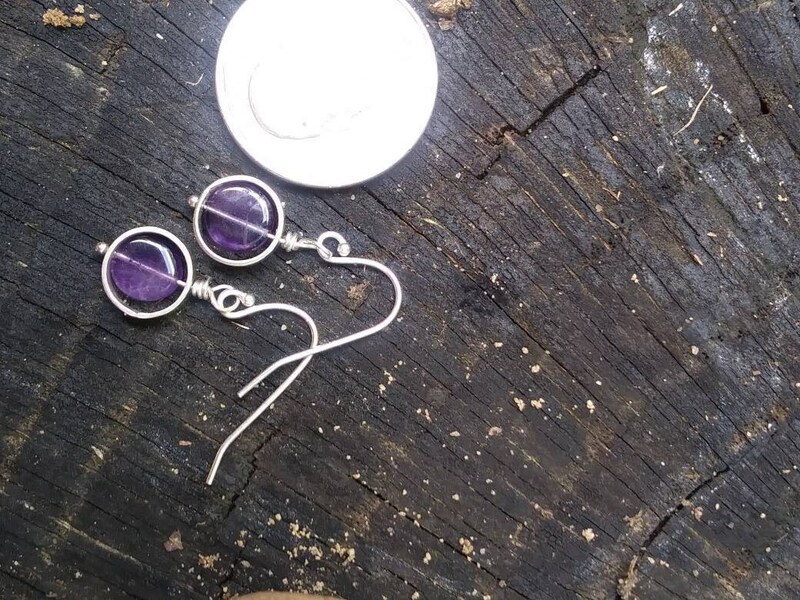 The small stone swivels inside the sterling silver frame and hand from a simple silver french hook. 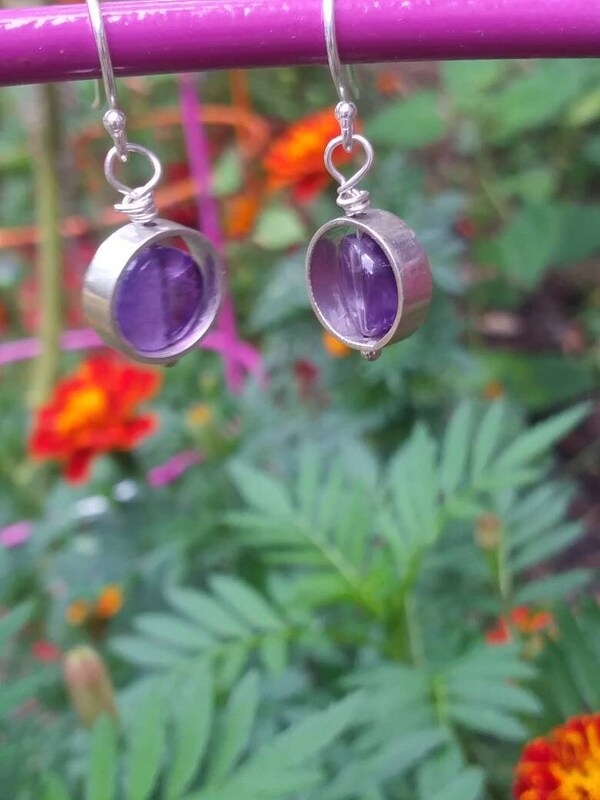 Whether you wear them every day or for a special occasion, they are sure to be a favorite.